Dealers are not your best option for windshield replacement. 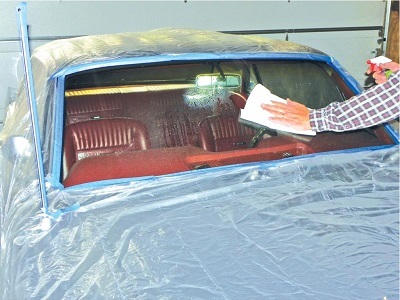 When your auto glass need replaced in a Ford Mustang, you do not have to return to the dealership. You can call Only 1 Auto Glass for St Paul Auto Glass for windshield repair and replacement. We use the best quality Ford aftermarket glass. If the glass has a crack you are in need of windshield replacement, call and we can come to your location for your convenience. We have vehicles equipped with everything needed to replace your Ford windshield in under an hour. We can come to your place of employment and make your vehicle as good as new before you get off shift. Do not delay getting your windshield replaced, Only 1 Auto Glass in St Paul works with insurance companies. And putting off replacement can end up is disaster because you never know when the crack is going to turn into a shatter. St. Paul only uses the best in auto glass, and we guarantee complete optical clarity, a perfect fit, and we only send out certified technicians to work in the field. Getting your glass replaced can be simple and easy, within a few hours you can forget you ever had a flaw in your view while driving.